Inspection Details : For Inspection Details Please Contact Mr.Ehsan Khalil, Manager, Mobile No. 8447416904 or Shri Mukesh Chand, 09855187468 or Shri Sajay Kishor AGM, Phone No. 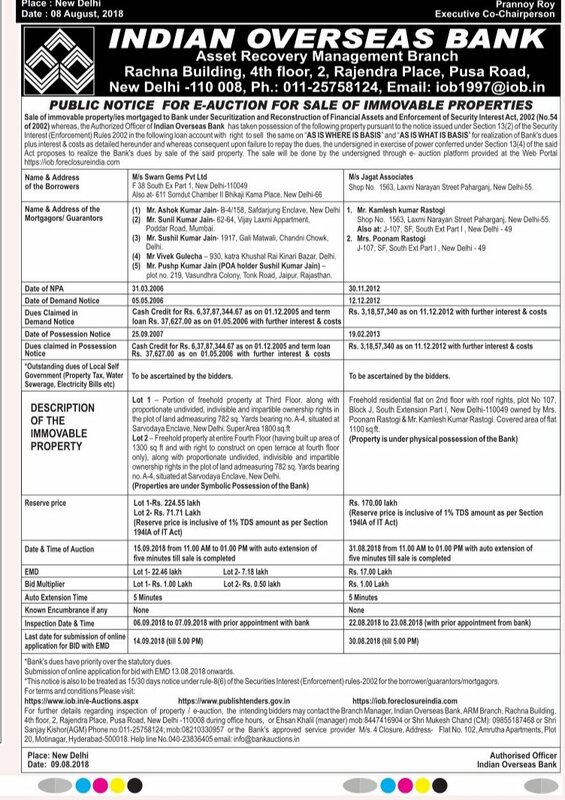 011-25758124, Inspection Date On 06.09.2018 to 07.09.2018 With Prior Appointment With Bank.